Rehearse your next play or reading at 1812! Room is equipped with radiator heat, an AC unit, 2 ceiling fans, and 6 banks of fluorescent lights. Tables and chairs included with rental. Floor is marley laid over a tile floor. Renter Lock-Up is provided to long-term renters. 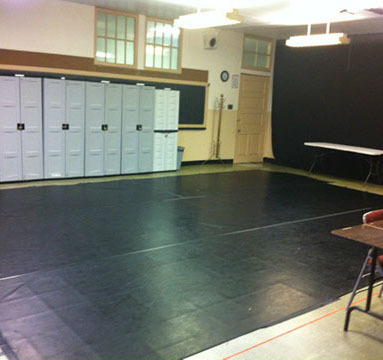 Rehearsal Hall is also available for photo shoots and video recordings. Weeknights and Weekends: $20 per hour.